Lisa Brokop (born June 6, 1973 in Surrey, British Columbia) is a Canadian country music singer/songwriter and actress. 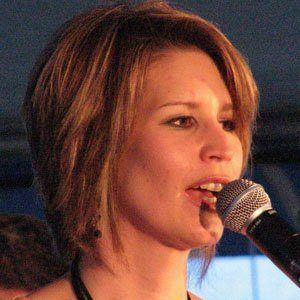 Active since 1990 in the country music field, she has released a total of six studio albums, and has charted more than twenty singles on the country music charts in her native Canada. Several of these singles have also crossed over to the American country music charts, although she has not entered Top 40 in the U.S.
with her highest charting songs being "Give Me a Ring Sometime" and "Take That" peaking at both #52 in 1994. Her highest chart single to date is the #8 "Better Off Broken" from 1999 in Canada.